A few nights ago at The Game Awards 2015, 343 Industries and Microsoft revealed Halo 5’s December Update through a brand new trailer. Throughout the past few months, we’ve gotten to see the reveal of Forge, as well as many new maps and other content that will be arriving in this update, Cartographer’s Gift. Today in 343 Industries’ Community Update, Bravo gave us a good look of not only the content coming in Cartographer’s Gift, but also a wide variety of improvements coming to Halo 5 alongside the update. Today, we’ll give you a breakdown of the most notable changes and improvements, but you can read up on the full update from Bravo right here. As was announced in October, Forge mode will be arriving in Halo 5: Guardians in this update. The mode has been massively revamped, introducing a slew of new features for community cartographer’s to play with. Alongside Forge will be the introduction of a File Browser that will allow players to bookmark and download maps when viewing another players profile. As with all content updates for Halo 5, Cartographer’s Gift will introduce dozens of new REQs both for use in Warzone as well as customization options. 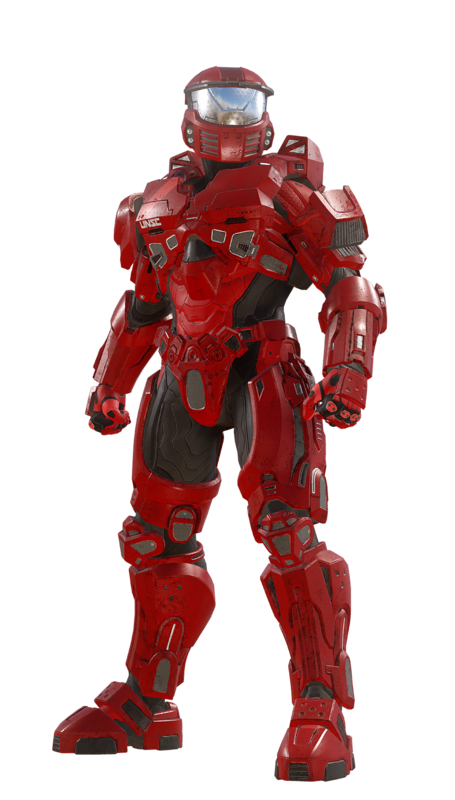 Two of the most notable introductions are the return of the SPNKr Rocket Launcher and Mark IV Armor Set (pictured below). As with the Shadow and Light update, there will also be new Emblems, Assassinations, Skins, Visors, and more to customize your Spartan. Halo 5: Guardians’ December Update – Cartographer’s Gift – introduces tons of new content as well as some awesome fixes for fans who continually play the game. Excited for the update? Discuss on our forums!